You can create a customizable blank floorplan to your Event Space Library by accessing the Settings tab. To upload or add a floorplan directly into your account's Event Space Library, first select Settings from ST Home. 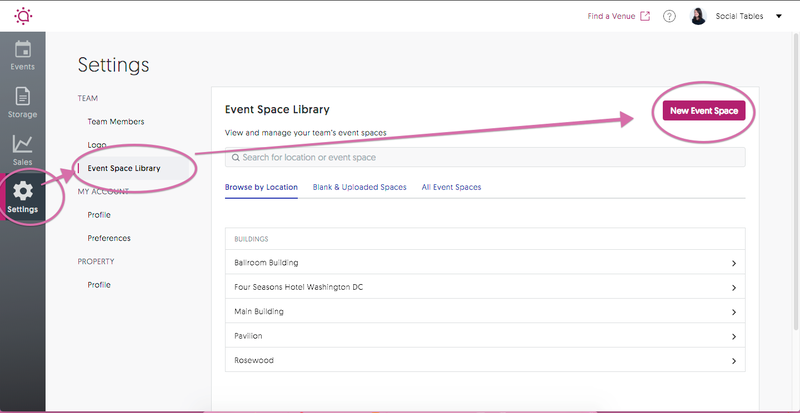 Then click the Event Space Library from the Settings menu and from there, creating a new event space is a simple process. Press the New Event Space button located on the far right to get started. Have fun diagramming to your heart's content!